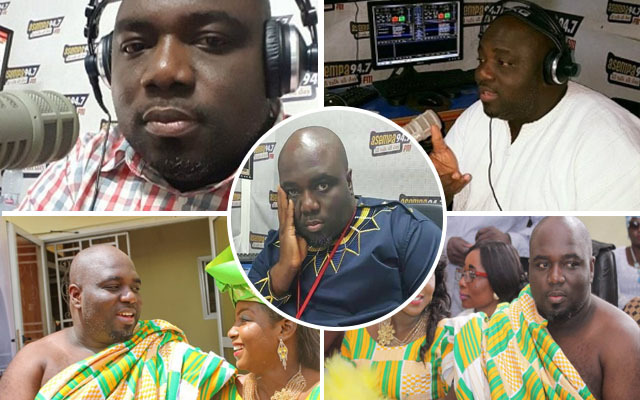 Popular Political Radio Talk Show host, Kwadwo Asare-Baffuor Acheampong aka Kaba of Asempa Fm has passed away. Death sometimes has a way of making its prey somehow envision their end, making them leave messages that raise questions as to whether the deceased was aware of his/her death. Kaba made the statement when he won an award at the just ended RTP Awards, which he was not present to pick up himself due to ill health. The tweet continued ”…Apologies I couldn’t pick up the award personally; have been under the weather since Friday…insha Allah“. The Radio Host extraordinaire got married to Radio Gold’s Valentina Ofori Afriyie in the middle of last year.